With rolling hills, lush valleys, open deserts and mountain forests, South California’s Inland Empire is a diverse region which appeals to many different active adult retirees. Southern California is often praised for its beautiful Mediterranean climate, fine dining, eclectic shopping, and exciting outdoor recreations. Some Southern California destinations are more expensive than others, but active adult retirees will be happy to learn about the affordable housing options available in the state’s Inland Empire area. California’s Inland Empire is located between Orange County and the Palm Springs and Coachella Valley area. It is part of the Greater Los Angeles area and includes portions of Riverside and San Bernardino counties. Some of the cities found in the Inland Empire are Banning, Hemet, Apple Valley, Murrieta, and Corona. With rolling hills, lush valleys, open deserts, and mountain forests, Southern California’s Inland Empire is a diverse region that appeals to many different active adult retirees. The area is great for outdoor enthusiasts, and there are plenty of opportunities for activities like hiking, camping, fishing, boating, and horseback riding. Cultural attractions in the Inland Empire include live theatre and music performances. Residents can take in a show at the Victoria Mills Cultural Center or the San Manuel Amphitheater. The Inland Empire also boasts a range of popular recreations like tennis, golf, shopping, and wine tasting. Golf is particularly popular, and area residents can choose from a wide variety of golf courses. Two of the area’s oldest golf clubs include the exclusive Redlands Country Club and San Bernardino’s Arrowhead Country Club. 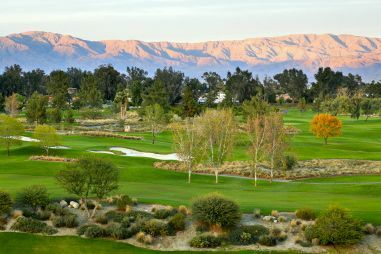 Several active adult communities in the Inland Empire also have their own golf courses. There are spectacular 36-hole golf courses at Sun Lakes Country Club in Banning and The Oasis in Menifee. The Ashwood Golf Course at Sun City Apple Valley boasts a 27-hole course. 18-hole golf courses can be found at The Colony in Murrieta, Trilogy at Glen Ivy in Corona, Solera at Oak Valley Greens in Beaumont, and Four Seasons at Hemet in Hemet. Of course, golf is not the only recreation found at Inland Empire active adult communities. Swimming pools, arts and crafts studios, game rooms, tennis courts, and bocce ball courts are just some of the amenities found at communities like Four Seasons at Beaumont, Solera Diamond Valley in Hemet, and Four Seasons at Murrieta. While many other Southern California areas are cost prohibitive, affordable homes in Inland Empire include both single-family homes and townhomes. Even in amenity-rich communities—including those with their own golf courses—active adults can find homes that range from $100,000 to $400,000. With a beautiful climate, affordable housing and close proximity to Los Angeles, it’s easy to see why Southern California’s Inland Empire is a popular destination for active adult retirees.